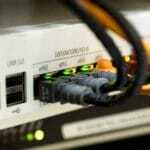 What Is The Best Internet Service Technology? 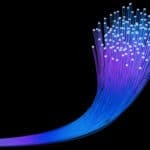 The below video explains the workings of fiber (spelt fibre in the U.K) versus cable, in a battle of the ‘best internet service’ connection technology. Fiber vs copper video provided by Techquickie. Check out more of their videos which explain how tech works. 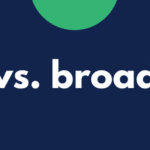 Video transcript: It’s the ultimate battle of the networking communications cables; copper versus fiber! Which will win the ultimate bandwidth challenge and send its opponents ping, crying home to mama? Let’s begin with the key characteristics of those good old, reliable copper phone lines. That’s right, the same basic infrastructure that we’ve been using since the beginning of the 20th century. Copper is highly conductive. This is what makes it so great for carrying the power to your home that you need to do all the things that are important that you need to do there. Copper wires use the movement of electrons to carry signals by modulating a wave format one end, the demodulating it at the other end, to convert the patterns and the waveform into an analog or a digital signal. A device that modules and demodulates is called a modem. The problem is that copper, even higher bandwidth coaxial cables, can carry only a small number of wave forms, limiting its maximum data capacity and these wave forms degrade very quickly as the distance between the communications devices increases. In fact, copper only has two main advantages today. One, it’s much less expensive per unit distance than fiber and two, it’s already deployed basically everywhere. Thanks telephone and television. Modern fiber optic cable invented by Corning Inc. in the ‘70s changed the game completely, by allowing the use of light bursts to carry a signal instead of waves traveling through metal. Today, these cables are made up of a highly transparent, flexible glass core wrapped in a series of layers that protect both the integrity of the signal in the glass and the structure of the glass inside from the elements. Because this is light traveling through a nearly transparent medium, it moves at approximately 200,000 kilometers per second, actually not that different from an electrical signal through copper. But much more importantly, the integrity of the signal, the ease with which we can interpret the light on versus light off at either end is much easier to maintain at higher switching speeds and over longer distances. I mean we’re talking thousands of kilometers like across oceans, giving fiber optic cables an enormous advantage in speed and well, distance. There are lots of other cool stuff too. Optical signals are immune to electromagnetic interference. Individual fibers can be bundled together during installation. Some for use now, others dark for expand-ability in the future. 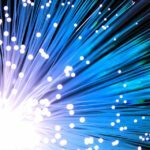 Depending on the requirements, fiber can be used with LEDs or lasers and an individual fiber might transmit multiple wavelengths or colors of light at the same time to be a split-out at the end other end to further increase capacity. Sounds great! Let’s use it for everything, Linus. Well, life is rarely that simple, isn’t it? We’re heading in that direction. But currently fiber is so much more expensive per length than copper that it’s taking a little while to get there. 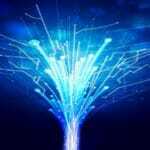 The good news is that copper carries some additional hidden costs that increase fiber’s appeal even further. Thicker, heavier cables are more difficult to install and may require more clearance than is even available in existing underground pathways. 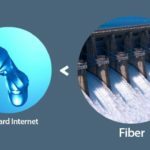 In cases where multiple connections can leverage a single fiber backbone, the cost per capacity argument comes into play where even if two fibers cost 1000 times what copper would. If it can carry over 1000 times the data, the cost per customer and ISP conserved goes down and of course the distance thing comes into play again. The ISP will save again on repeaters, that you will need all over the neighborhood to maintain the integrity of a signal that’s running on copper lines, so Mrs. Rochester’s connection doesn’t drop out in the middle of her Netflix marathon. But that doesn’t mean that every house will be getting a direct fiber connection anytime soon. It would certainly be nice. (As fiber clearly provides the best internet service). But hybrid deployments with a fiber backbone that serves many customers and copper runs to individuals for the last mile are most common today, because they deliver solid speeds and reliability, while saving a lot of money for the notoriously tightfisted ISPs that are managing the infrastructure. So he goes to a dollar store and comes back with a tube of glitter glue. Not only that. A tube of glitter glue, that’s actually completely hardened and dried out. So the only thing we ended up being able to do with it at all was make me pretty for you guys. So I hope you enjoyed it, all you viewers and you, Josh. Do you find me pretty and sparkly? Am I sparkling? Excellent. I’m sparkling. All right! So thanks again to Fractal Design for sponsoring today’s episode of Fast as Possible. Thanks to you guys for watching. Like this video if you liked it. Dislike it if you thought it sucked. Leave a comment if you have suggestions for future Fast as Possible episodes just like this one and Nick, that’s for you buddy. Don’t forget to subscribe. Need More Help Deciding What Is The Best Internet Service? Got business internet service related questions? Contact Fastmetrics directly today.